Ireland experienced one of its driest and warmest summers on record this year, Met Éireann has confirmed. In a report released this week, the national forecaster said that the 32C recorded at Shannon Airport, Co Clare in late June was the highest temperature recorded at a weather station in Ireland. Ireland’s driest summer on record was also recorded at Cork Airport, with only 109.5mm recorded there for the entire summer. The report also points to above normal temperature and below normal rainfall amounts at the majority of its stations. Heatwave conditions were recorded at 15 stations on many occasions between the 24 June and 4 July. Absolute drought conditions were also recorded at 21 stations between 22 May and 14 July. Large blocking high-pressure systems were the dominant feature of the summer, the report states, keeping the North Atlantic jet stream to the north of Ireland. High pressure to the north stretched from the Azores in Portugal to the Arctic Circle in Sweden, influencing extreme drought and subsequent devastating forest fires in both countries. While Met Éireann staff said in an opinion piece in The Irish Times today that the extreme summer weather is “in line” with climate projections, the report itself – widely covered in the media yesterday – fails to mention any link to climate change. 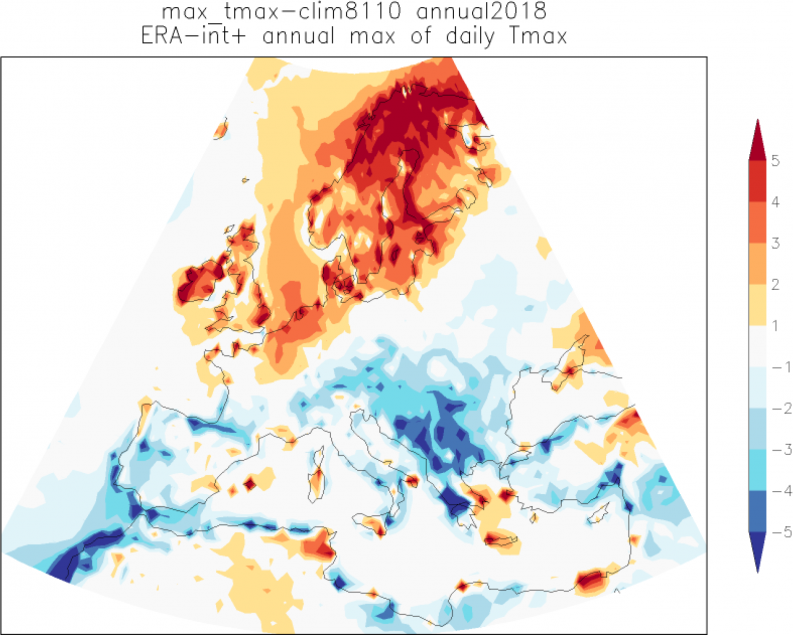 This is despite recent findings from the World Weather Attribution network that anthropogenic (man-made) climate change more than doubled the likelihood of the summer heatwave in Ireland. The World Meteorological Organization (WMO) also found that the summer heatwave was“consistent” with what is expected as “a result of climate change”. “This is not a future scenario. It is happening now,” said the WMO’s Elena Manaenkova in early August. Speaking at a hearing of the new Joint Oireachtas Committee on Climate Action yesterday, Deputy Marcella Corcoran-Kennedy called on Met Éireann to give climate change information as part of forecasts. The Offaly native said that she met with Met Éireann and Minister of Climate Action Denis Naughten last year on this issue. Met Éireann’s daily forecasts on broadcast media provide an “unrivalled opportunity” to inform people in an easy to follow manner, she said. “We saw the invaluable service Met Éireann provided during Storm Ophelia, Storm Emma and even during the recent heatwave. Environmental journalist John Gibbons, vocal in recent years about the lack of climate coverage from the forecaster, said that he “strongly welcomed” Ms Corcoran-Kennedy’s call for Met Éireann to “contextualise climate change” in its broadcasts. While Met Éireann is a “trusted provider” of weather forecasting services, Mr Gibbons told The Green News that its “reluctance” to engage with climate science is “as regrettable as it is inexplicable”. Mr Gibbons, who also sits on An Taisce’s Climate Change Committee, asked why Met Éireann does not speak out as vocally as the WMO about how global warming is “rapidly changing the underlying conditions that influence our weather”. “This is no mystery, nor is it controversial in scientific circles, yet Met Éireann continues to use the line that no single weather event ‘proves’ climate change as a reason to decline to inform the public of the ever-growing influence climate change is having on our weather,” he added. In the forecaster’s opinion piece in The Irish Times this morning, it said that it is working with Irish scientists in a “wide range of projects” on climate modelling and attribution research, including the Met Éireann ReAnalysis (MÉRA) project to study Ireland’s past climate. “I believe that the fast-evolving science of ‘climate attribution’ of specific weather events would offer Met Éireann the perfect opportunity to ‘join the dots’ between extreme weather events and the underlying climatic conditions that may be driving these,” Mr Gibbons said.